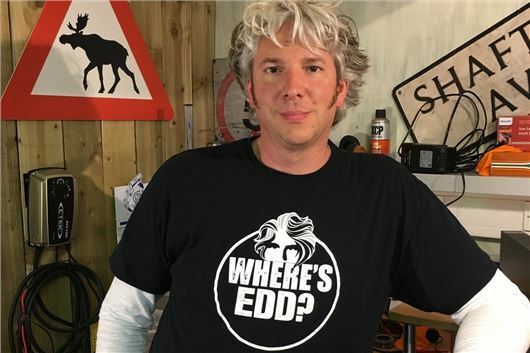 Presenter, engineer and inventor Edd China will bring together some of the most significant aero-engined cars at the London Classic Car Show. The not-to-be-missed display will take place at the London's Excel centre on 14-17 February. The ex-Wheeler Dealer star is China is passionate about powerful aero-engined machines and was inspired by their outrageous engineering as a child. China will attend the London Classic Car Show from Thursday 14 to Sunday 17 February to meet show visitors and share his passion for these vehicles with fellow enthusiasts. Sitting alongside will be the 27-litre Hispano Suiza V12, known as ‘Sid’ for its characterful hissing after a fast run. This car is a faithful recreation of the 1920s land speed record cars, based on a Hispano Suiza 27-litre Mb12 aero engine from Switzerland, with a Delage Type CO2 40/50hp chassis and three-speed Delage straight-cut gearbox. Created by the Baker brothers in the mid-1980s, Sid features incredible engineering to produce around 600bhp at 2500rpm while weighing just 1650kg.